From reactive to predictive, from treating what has occurred to predicting what diseases will occur and taking proactive steps to intervene. Imagine a future where genomic medicine is fully utilized to find personalized medicine approaches to target treatments for diseased patients … before the onset of clinical symptoms. This future vision is the goal of the European Association for Predictive, Preventive and Personalized Medicine (EPMA). Drs. Golubnitschaja and Costigliola have been two of the leading European coordinators in the field of predictive, preventive and personalized medicine. Working with and leading the EPMA, the two doctors are hopping the pond — and a few Midwest cornfields — to bring their expertise and insights to the U.S. community of health care professionals active in individualized medicine — also known as precision medicine. Dr. Olga Golubnitschaja is on the medical faculty and head of the Department of Radiology of Bonn University. She has studied journalism, biotechnology and medicine and has been awarded fellowships for biomedical research in Pediatrics and Neurosciences in Austria, Russia, United Kingdom, Germany, Netherlands, and Switzerland. She is well-cited in the research fields of “gene hunting” and “subtractive hybridization” applied to predictive prenatal and postnatal diagnostics. Between 1990 and 2000, she published as O.Labudova. 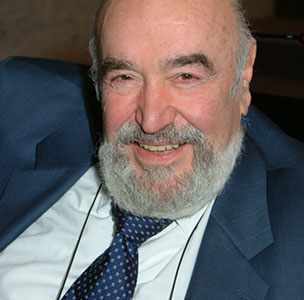 Dr. Costigliola is President of the European Association for Predictive, Preventive, and Personalized Medicine and President of the European Depression Association. He is a Board member of the European Biotechnology Association and a member of the International Advisory Board at King Abdulaziz University in Saudia Arabia. If you have questions for Dr. Costigliola, you may present them in Italian, French, English or Spanish, all languages in which he is fluent. Olga Golubnitschaja, M.D., secretary general of EPMA, offers a preview of her talk at the IM Conference 2015 on how precision medicine can be used to predict, rather than react, to diseases. The 2015 Individualizing Medicine Conference is scheduled September 20–23, 2015, in Rochester, Minn., home of Mayo Clinic. The fourth annual conference on individualized medicine focuses on translating the promise of genomic medicine into clinical practice. Expert speakers, focused breakout sessions, real-life case studies and a poster session provide opportunities to discover and discuss emerging topics in applied genomics. 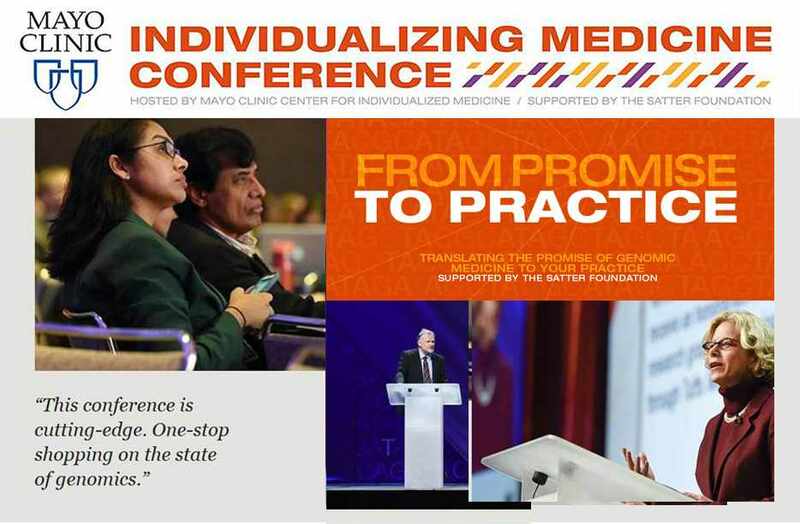 New this year, Mayo Clinic Center for Individualized Medicine offers a patient and public symposium, featuring expert talks and exhibits in pharmacogenomics, ethics, microbiome, cancer, and other areas where precision medicine is impacting health care.